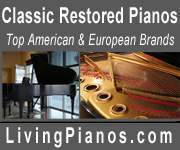 Beautifully restored 1908 Steinway model O - 5'10" grand piano. Bass strings - J.D. Grandt (Canada). Refinished by Esquire piano co.
Re-stringining, action re-build and regulation done by Robert Stanley, Certified Technician. Less than 40 hours of playing time since restoration. This piano sounds wonderful, The bass is clear and deep, not "muddy". The treble is clear and present without being harsh. The action has been fully regulated and is very responsive. 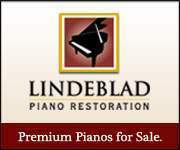 To the best of my knowledge I am the 3rd owner of this piano. The key tops are not ivory.